Designed to be appreciated by both experienced paddlers and beginners alike, with the emphasis on fun and enjoyment, not hard work. 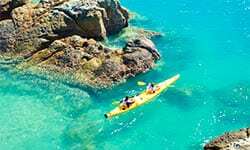 Enjoy a great day of sea kayaking and snorkelling in the Whitsundays with an experienced guide and a small group of paddlers. The ultimate in overnight kayaking expeditions. 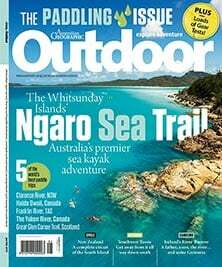 6 days exploring the Whitsunday wilderness, with our friendly and informative guides. If you are looking for a Whitsunday wilderness experience, and would prefer not to join a guided trip, then freedom kayak rental is for you. Explore the awe-inspiring Whitsunday Islands by sea kayak. Contact us for a sea kayaking adventure that will be an unforgettable part of your holiday memories. Immerse yourself in the tropical wilderness of the Whitsunday Islands. Explore the fringing coral reefs and turquoise waters nestled in the heart of the Great Barrier Reef. 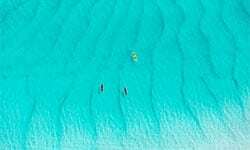 Sea kayak the Whitsundays and become part of nature from mangrove fringed coastline to the brilliant white silica sands of Whitehaven Beach. Explore, enjoy, relax, energise. We have a trip to suit everyone. Join us on a Half Day, Full Day or 6 Day Tour. Alternately our “freedom rentals” are an option if you wish to venture out and do your own thing. We can customise a trip to suit your needs, help with your planning and provide you with local advice on weather, snorkelling areas, walking tracks, suggested routes and provisioning.